The JSE closed firmer on Friday as it was inspired by US markets which attempted to reach new all-time highs thanks to a better than expected US jobs report. The US economy added 196 000 jobs in March according to the latest US Non-Farm Payrolls report which was released on Friday. The US unemployment rate was also unchanged at 3.8% which gave the markets a catalyst to rise on the day. In Asia, the Shanghai Composite Index rose 1%, while in Japan the Nikkei managed to add 0.38%. The Hang Seng retreated to end the day 0.17% weaker. The rand advanced further in today’s session despite the US dollar also advancing on the day. The rand was trading 0.39% firmer at R14.06/$ at 17.00 CAT. On the JSE, sugar producer Tongaat Hulett [JSE:TON] recorded a decent run despite relatively smaller trading volumes. The stock gained 6.32% as it closed at R21.69, while platinum miner Lonmin [JSE:LON] finished amongst the day’s biggest gainers after it advanced 4.99% to close at R15.36. Delta Property Fund [JSE:DLT] managed to add 5.11% as it closed at R1.85, while Rebosis Property Fund [JSE:REB] climbed 3.9% to close at R1.60. Rand sensitives such as Mr Price [JSE:MRP] gained 2.25% to close at R196.07, as well as Pick n Pay [JSE:PIK] also rising 1.68% to close at R67.21. Sibanye Stillwater [JSE:SGL] end the day at R16.35 after it gained 2.51%, while Impala Platinum [JSE:IMP] added 1.78% to close at R62.90. Of the day’s losers RCL Foods [JSE:RCL] came under significant pressure as it fell 11.26% to close at R12.85. Steinhoff International [JSE:SNH] lost 5% as it closed at R1.71 while Nampak [JSE:NPK] closed at R10.00 after it fell 2.72%. Listed property stocks traded mostly softer in today’s session. Fortress REIT [JSE:FFB] lost 2.93% to R9.95, Sirius Real Estate [JSE:SRE] dropped 3.08% to R11.65, and RDI REIT [JSE:RPL] closed 2.7% weaker at R28.80. 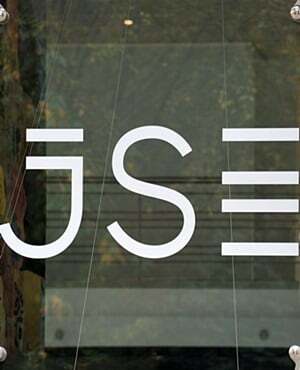 The JSE All-Share index eventually closed 0.11% firmer while the JSE Top-40 index rose 0.13%. Industrials retreated by 0.14%, while Financials and Resources managed to add 0.01% and 0.77% respectively. At 17.00 CAT, Gold was unchanged at $1292.21/Oz, Platinum was down 0.26% to $896.62/Oz, and Palladium was up 0.76% to close at R1377.35/Oz. Brent crudes started the day weaker, but it gained traction as the day went on. It was trading 0.39% firmer at $69.67/barrel just after the JSE close.